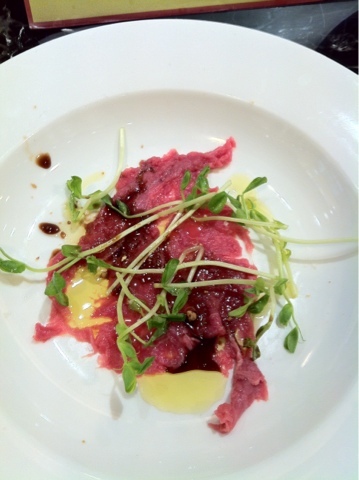 I got hold of a nice piece of beef tenderloin and wanted to know if it worked as tartare. Sprinkled some organic shoots in top, drizzled some extra virgin olive oil, balsamic vinegar and my favourite lemon zest salt. It was good except it lacked some grated Parmesan.